Hello! 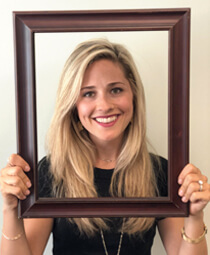 My name is Elizabeth Thorsness and I am a Licensed Professional Counselor with a Masters in Clinical Mental Health Counseling from Loyola University. Prior to receiving my Masters degree, I attended Vanderbilt University where I received my Bachelors degree in Child Development Psychology. Lastly, I have recently completed a graduate program in Spiritual Formation and Discipleship from Moody Theological Seminary. My clinical focus centers on treating adolescents and young adults who may experience social, emotional, and/or academic distress. Recognizing that so many challenges can be representative of a larger picture, I specialize in issues related to anxiety, adjustment and relational difficulties, as well as social skills building. Lastly, I know that working with parents is critical to the healing process and treatment of every adolescent. I also have a heart for providing guidance to adolescent and young adult women who are working through spiritual and identity formation. I am passionate about meeting women in their pain and suffering and providing hope and healing through Christian counseling. I believe that every human being is made in the image of a loving God, so I truly strive to treat each client as a unique individual with distinctive needs. It is my hope that each client feels loved, empowered, and challenged towards authentic and life-giving change. I consider it an honor to walk alongside people as we seek growth and purpose. I look forward to meeting you!